Best WATERFRONT PRICE AROUND! 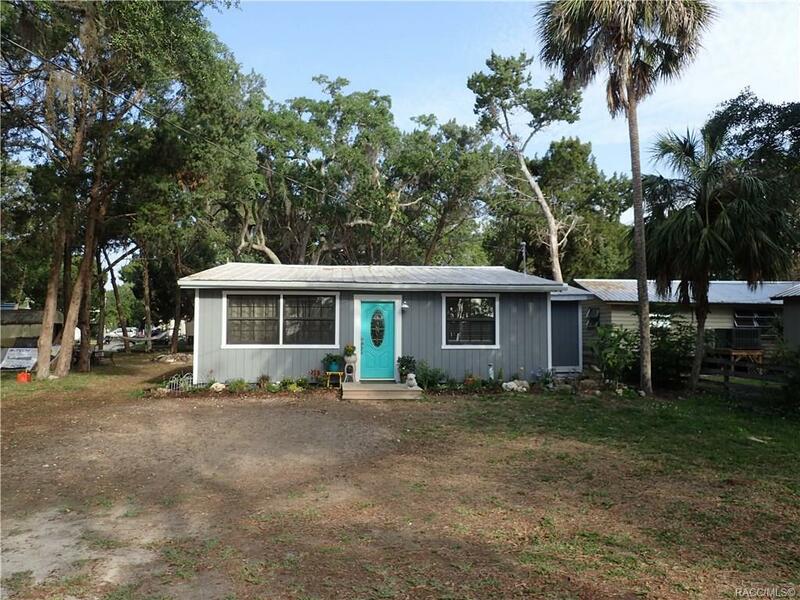 2 bedroom, 1 bath WATERFRONT cottage on canal leading to St. Martins River with direct gulf access. Same canal as marina with boat ramp! Wood laminate flooring with dining room, living room and open kitchen. Kitchen offers granite counter tops, island with stove, dishwasher and large basin sink. Inside laundry with washer and dryer. Large bath with deep soaking tub and walk in shower with his/her sinks. Large bedroom with all season windows with 2 closets with additional closet. Tastefully decorated with 1200 square feet of living. Queen beds in both bedrooms. Seawall, dock and screened in fish cleaning station. Minutes from the scallop grounds, close to Back Water Fins restaurant and 5 miles from US 19. Enjoy old Florida as it was meant to be. Home has been used as a furnished rental, short and long term! Perfect for investment, second weekend home or dream home! Furniture negotiable. Priced to MOVE! Directions: Us 19, Turn West Onto Ozello Trail, Go 6 Miles Turn Left On Waterman Around Bend On Right Hand Side.